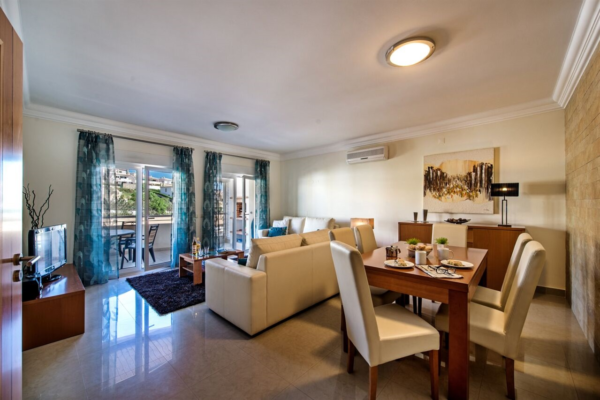 This apartment is located in town, within walking distance to the beach and all the amenities, and is integrated into one of the most unique condominiums in Lagos, surrounded by lovely mature gardens, with heated indoor swimming pool, gymnasium, sauna, Turkish bath and Jacuzzi. 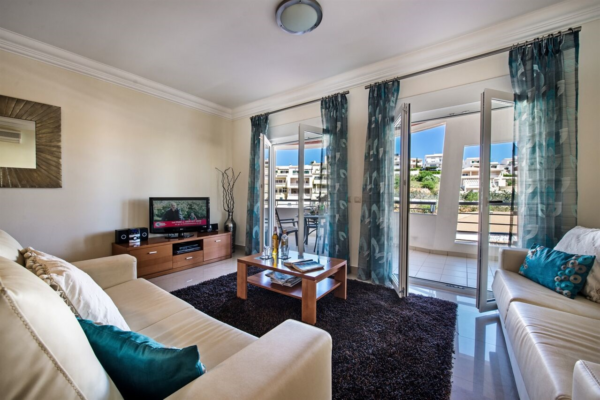 The apartment is a great size with 2 double bedrooms sharing one complete bathroom. The kitchen is fully fitted with modern units and has all the appliances that you need, the living dining room is spacious and cosy. 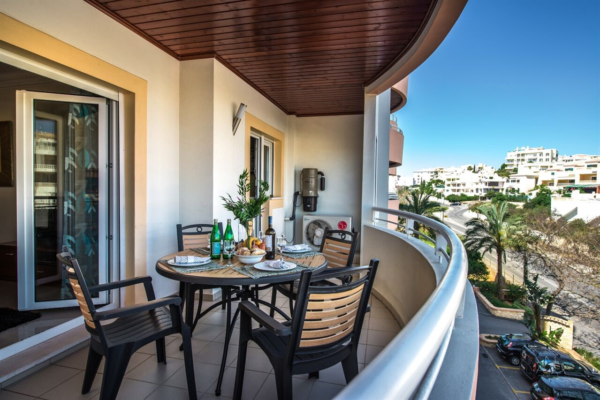 There is also a sun terrace with a great BBQ area perfect for outdoor living. 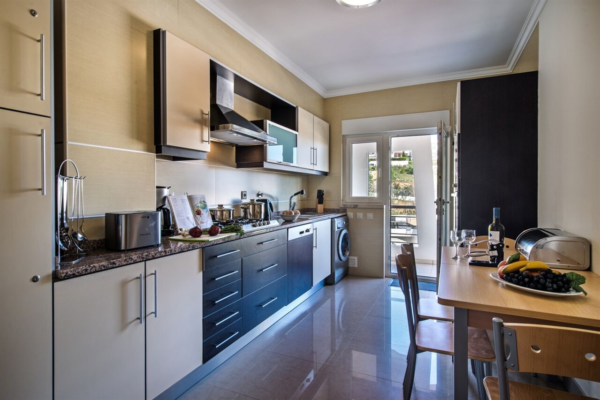 The apartment benefits also from central vacuum system, central heating, air conditioning, electric shutters, sound system, and a private parking.